JAPANESE 2 Tattoo Design Black & Grey 50-page Flash Book by Horimouja. This book is filled with variety of Traditional Japanese Monsters, Demons, Creatures and more. 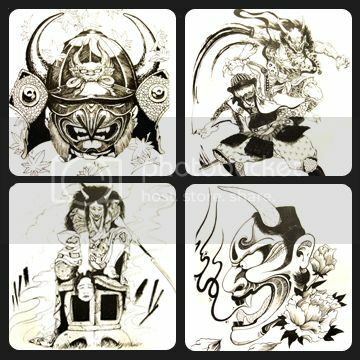 Master Horimouja has created over 100 designs in this 1 book.